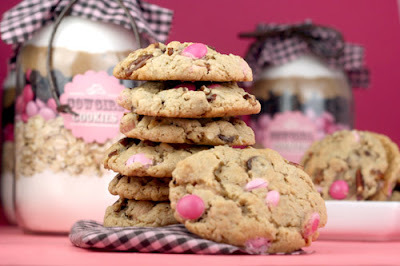 As we were surfing the net today we came across these yummys from one of our favorites sites, Bakerella. She gives detailed directions on how to make these here. 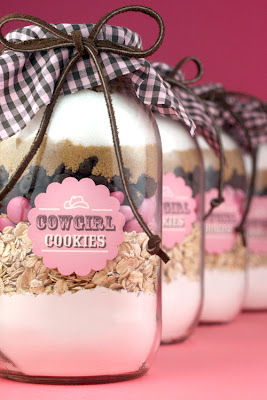 Make sure you check it out cuz these would make awesome gifts, made with pink M&Ms, who could resist? Road Trip!!!!! Round Top Antiques Week!!!!! Here's more video (courtesy of a Texas Real Estate Co) it's a little fuzzy, but ya'll will get the idea. Literally miles and miles of junk to sift through. One more video from our friends The Junk Gypsies! We can't wait to attend their prom! Whoooaa Dawgies!!!!! 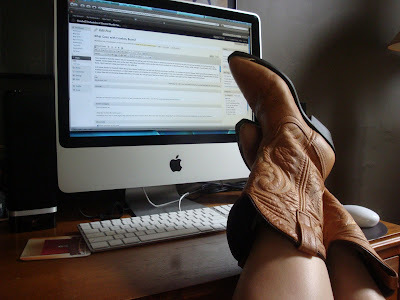 Don't worry bout missin out on anything cuz we'll blog you all the way through it. We'll have pictures, videos and interviews galore. We'll be huntin and gatherin our big booties off just in time to bring tons of cool junk back to you for our May Funky Junk Sisters Show!! Vendor Profile The Wonderful "MOLLY MO"
We are crazy excited to have Diane Kaser of Molly Mo's join us as a vendor at our May Funky Junk Sisters Vintage Flea Market. Diane does fantastic shows at her home in Sublimity, Oregon. 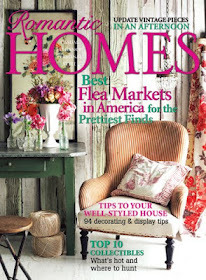 Her Antique Faire was featured in Porch Magazine's Great Fall Antiques Shows along with our Fall Flea. 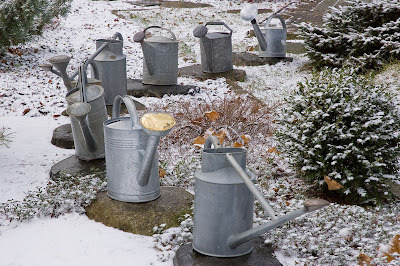 Diane says her ever growing collection of anything old and wonderful began to overtake her property. Molly Mo's was born out of necessity and a love of all that's sweet and vintage. She's a talented gal, we will all benefit from her abundance of gathering! Keep up the good work Diane, we can't wait to see what you have in store for our Vintage Flea. Our May Market is shapin up to be our best show ever, just in time to prepare our homes for the summer months! We are bringing you the best of the best! 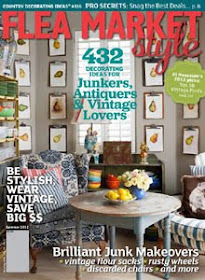 Each vendor is hand selected and exhibits the "Funky Junk Sisters Style" we love so much. Make sure you make plans to join us in May! 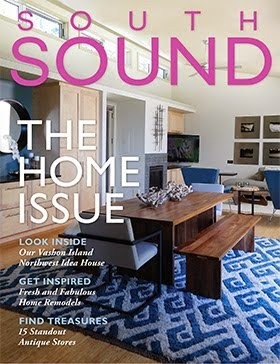 We Are Featured In Small Town Living Magazine! Make sure you visit their site to see the story they have done on us! Check back often for stories about life in small town America. when we saw them at a show a few months back. We just didn't know what we were gonna do with em. 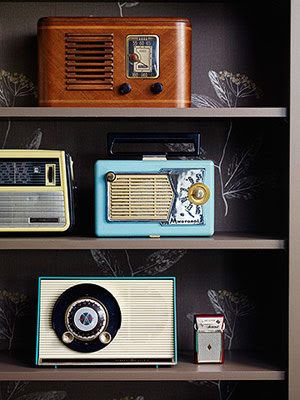 Sweet little vintage radios. 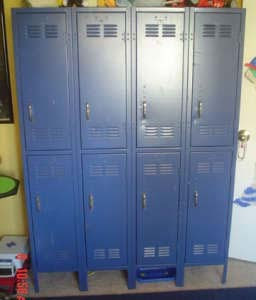 How many old baseball games were listened to on these things? 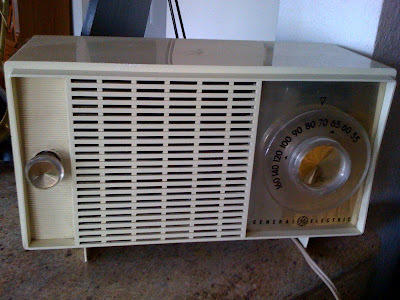 This radio/alarm clock, probably the finest in it's day....you can bet it has been smacked around a few times when the alarm went off too early in the AM! 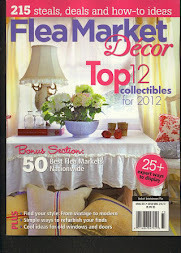 Well the newest edition of Ladies Home Journal has a great idea for these old relics. Gather them all together in one big collection and celebrate them! 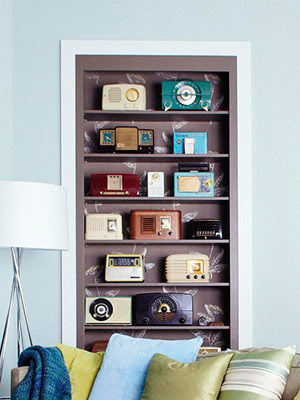 The quirky radios add just enough funk to this living room, don't cha think? Now we need more to add to our collection. We will be on the lookout for the next few days in the Tacoma area, remember to say howdy when you see us! Funky Junk Sisters To The Rescue! 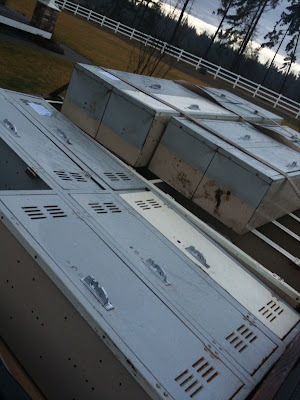 Look what we found just sitting in the back of a utility trailer waiting to go to the landfill! You know us, we are not shy so we asked the owner of the truck if we could rescue them! "Why would you want these old things? ", he asked. 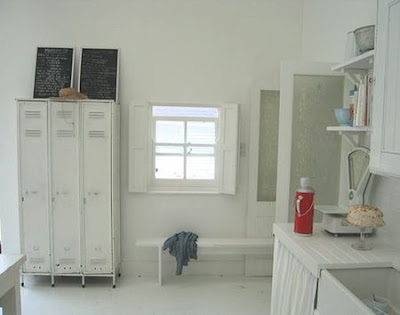 Well, we gave him all sorts of reasons why, and here are some visuals for ya'll below....love this white on white kitchen with the utility lockers as a pantry. 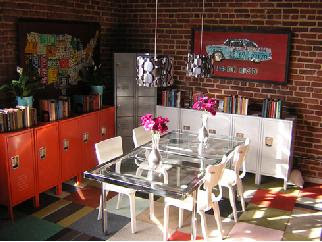 Perhaps the application in this dining room is your style. 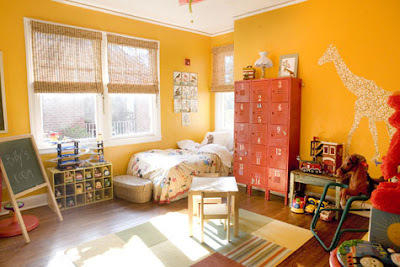 Here's a set in a boy's room. Apartment therapy suggests you use a bank like this in an entry for coat storage. Whatever need you have for em....we've got em. Email us at funkyjunksisters@live.com if you are interested. 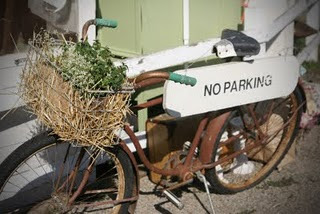 Otherwise you'll see them at our May Funky Junk Sisters Vintage Flea Market (that is, if there are any left)! 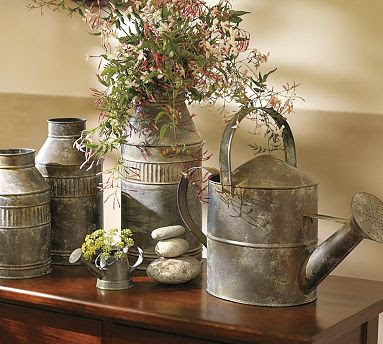 We have seen many of the real mccoy's at local barn sales and our own vintage flea market! 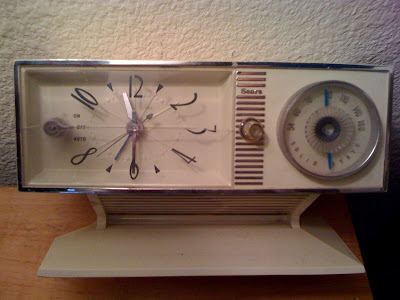 Tell us how many times have you have passed up something at a vintage sale that later you see that has been reproduced? A New Idea For An Old Trunk! Talk about one for the road! 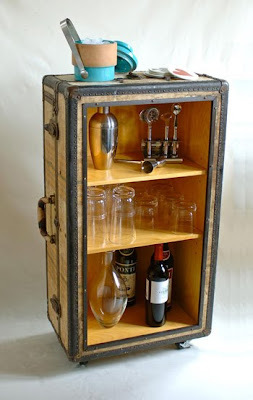 Now this is our style.... old trunk, vintage glassware and booze! Wanna join us? Click on the link to get directions to make your own! Meet the newest member of the funky junk family, Cosmo. 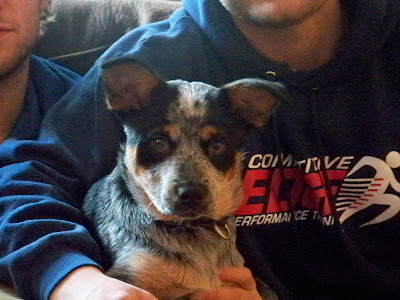 He is a blue heeler with gorgeous markings and a wonderful independent spirit. He belongs to my oldest son. 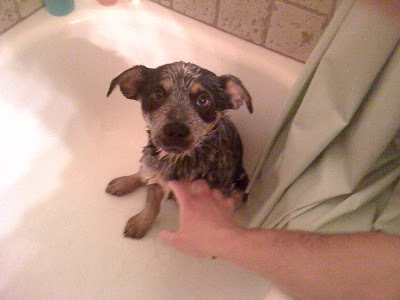 Blue heelers are loyal, brave and hardworking. They are a herding breed, and one of the most intelligent breeds to boot. These dogs are not the kind of dog to lie around the living room all day or be trapped in a small backyard. Luckily my son lives on acreage with plenty of room for a dog to roam. Yesterday was a lovely day in the Pacific Northwest so we took a nice drive to visit my son and his fiance at their home. After dinner we went outside to play with Cosmo and watch him run up and down a steep hill tirelessly. He pranced around as if he had no cares in the world. I'm glad it's my son's dog, just watching him made me tired. So much energy...but isn't he cute? I guess I'm kind of like his grandma, I can play with him and spoil him as much as I want, but at the end of the day, I give him back! 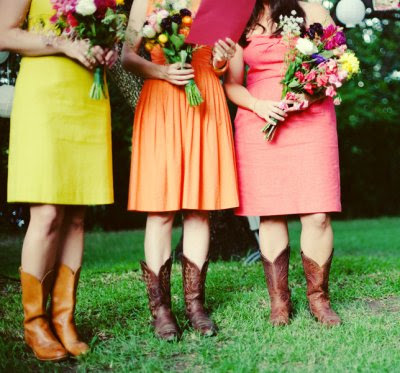 The junk sisters have fallen in love with vintage cowboy boots and it seems lots of other gals have too. Don't they just look darling with this cute summer dress? They've even made their way into the bridal scene. Our problem.... which color do we like most? 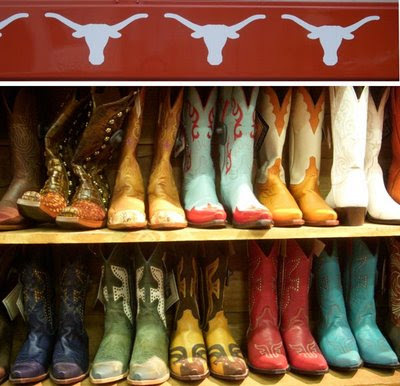 Can't decide.... so we'll hunt for a pair in every color! Off to the thrift shops we go!